Tarpaulin is a regular material among the veg and greenery of nature's finest at allotments across the nation. The unglamorous waterproof sheeting is used most commonly to repress weeds during the winter, but also to line planters and cover make-shift shelters for tools and people. 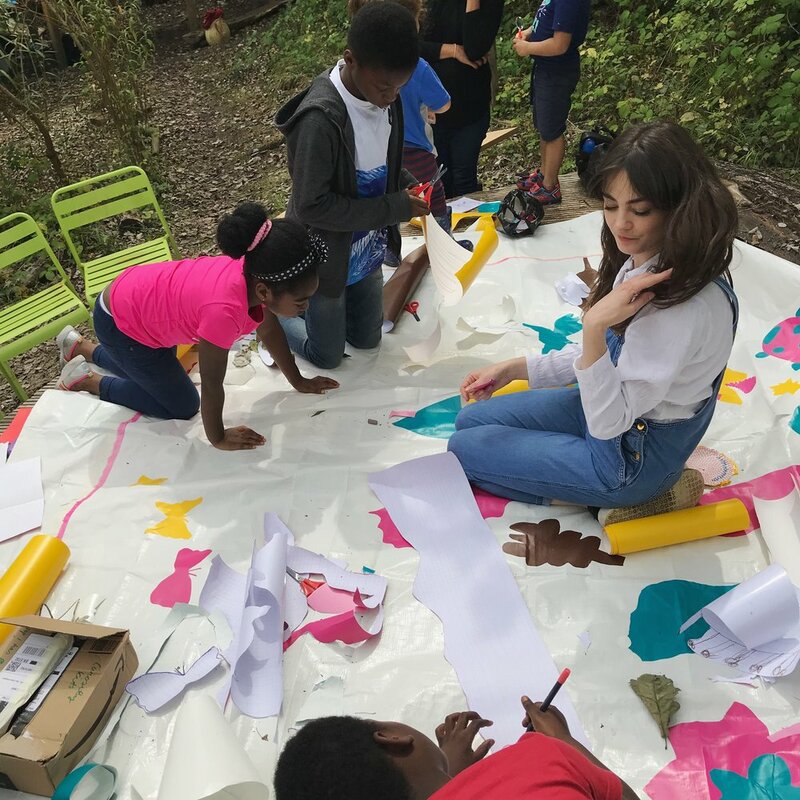 I worked with kids from Action For Refugees In Lewisham on an expedition across One Tree Hill allotment to explore creative shapes and colours, working together to transform a communal tarp sheet into an expressive mural based on their findings. Instead of being used to suppress weeds, their tarpaulin mural was instead used to express creative growth and learning based on the allotment itself.